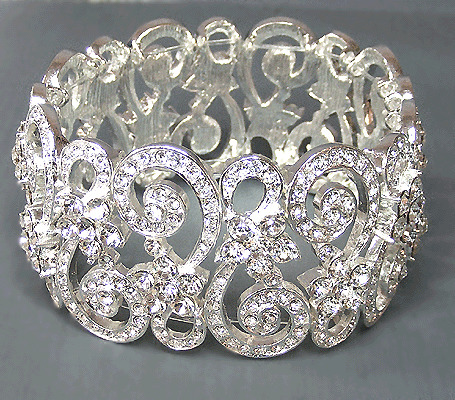 This bracelet is full of swirls and rhinestones. Throughout the swirls there are flowers, which are also rhinestones. 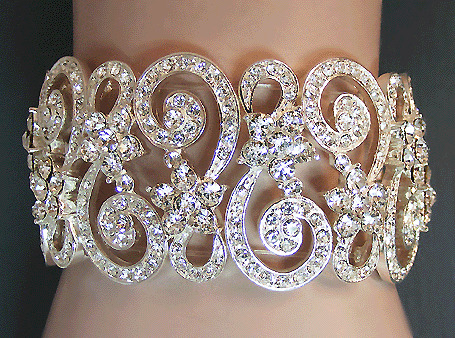 The width of this bracelet is 1-1/4". It is an elastic band bracelet.